Many entrepreneurs look at the day after Labor Day as the “second New Year.” When the kids go back to school and you’re staring down the barrel of the last quarter, it’s time to re-evaluate your goals and take steps to make sure you meet your 2018 goals. End the year strong and profitable. Goal setting isn’t just a January 1 option. 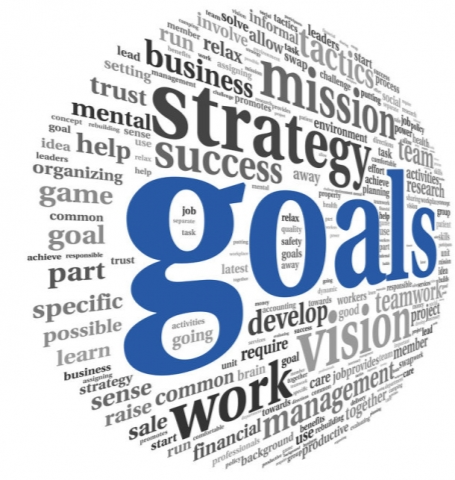 Goal setting is something entrepreneurs need to do regularly. Your goals are a living, breathing entity that need nurturing and regular check-ins to assure you are on track for meeting them. How close are you to ending the year strong? How close are you to achieving what you’d set out to do on January 1? How can re-invigorate the goals you’d set in January? Don’t tell yourself, “I only have three months until the end of the year, I can’t make it happen.” Instead, tell yourself, “I have three months until the end of the year and I CAN make it happen.” Attitude is everything. Were your goals concrete? If you look at them now, were they vague or did they give you a clear cut path toward completion? Don’t set goals that set you up for failure. Were the goals written down? If you’ve just been “telling” yourself, I need to finish XYZ, but not writing down XYZ, chances are it won’t get done. A goal that is not written down is just talk and other items will step into your life and take precedence. To whom are you accountable? Announce your goal to others. Find an accountability partner to whom you can connect and discuss your progress. Be accountable to someone other than yourself if that’s what you need ot help you achieve your goals. Work it. If you’re writing down goals and looking at them regularly but not making any progress toward complete, what are you waiting for? Get to work now! End the year strong so you can face 2019 feeling like you’ve scaled that once seeming insurmountable mountain. What goals should you focus on to end the year strong? If you’re not sure what to prioritize or how to prioritize, reach out and I can walk you through the goal-setting process.